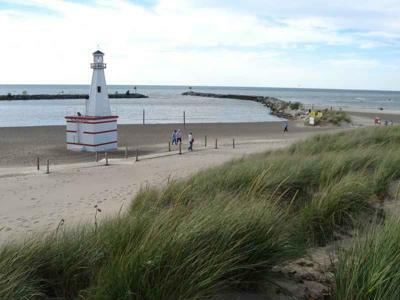 The New Buffalo city beach has to be one of the best in southern Michigan. You have to pay to get in but you can walk in if you find a place in town to park. Great concession stand and lifeguards during the summer. The boardwalk over the dunes is really cool. Great spot to take in a sunset. At times you can see the Chicago skyline. Only a 2 block walk into town. If it gets too hot we walk to the Stray Dog or Casey's for a bite to eat or a cold drink. Even during the fall and winter it's a a fun visit, feeding the gulls or just enjoying the views. have not been there yet.but the next i pass that way i will be stopping by..the board walk sounds fun..
Join in and write your own page! It's easy to do. How? 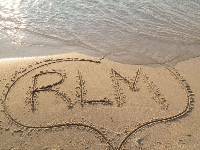 Simply click here to return to Your Favorite Beaches In Michigan.